To reach the Congress Venue you can easily use the Milan public transport ATM > Metro line 5 – stops “Bicocca” or “Ponale” / Tram 7 / Bus 81 and 87. The University of Milano-Bicocca was founded as autonomous organization on June 10th 1998. In the Times Higher Education rankings 2015 dedicated to the best hundred universities with less than 50 years, the University was ranked 24th in the world, 1st in Italy. The University was established with the aim of making Research the strategic foundation of all institutional activities. Research is meant as expansion of knowledge, as enhancement of training, a vehicle through which is organized the relationship with the territory, that also gives a strong contribution to the development of the productive system. The University of Milano-Bicocca pays special attention to the territory in which it operates, focusing at the same time the international dimension. 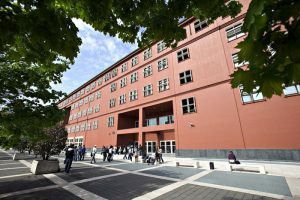 Today, the University of Milano-Bicocca is a multidisciplinary University which trains professionals in various fields: economics and statistics, legal, scientific, medical, sociological, psychological and pedagogical. Is a young, dynamic and innovative University, which in the space of few years has created an extensive network that includes many world-famous universities, research centers and top corporations. The University of Milano-Bicocca was established to serve students from Northern Italy and relieve some of the pressure on the over-crowded University of Milan. Groups of professors and researchers chose to come and participate in the enterprise. They were driven by their enthusiasm for the new, and by the chance to broaden academic horizons without having their work undermined by traditional methods of education. From the start, this very fertile climate became a unique training ground, which offered something new even in the most traditional disciplines. The University stands in an area on the northern edge of Milan, which was occupied by the Pirelli industrial complex until the late 1980s. This area is now the location of the biggest urban renewal project carried out in Milan since the end of the Second World War. The world-renowned architect, Vittorio Gregotti, has transformed the ex-industrial area and its warehouses into a new district, which includes our Athenaeum, research laboratories and student residence halls; Hangar Bicocca, the contemporary art museum; the Italian National Research Council (CNR), multinational company offices and the new headquarters of the Pirelli Group.